If you’re headed to Austin for this year’s SXSW festival – lucky you! If you’re flying to Austin for this year’s SXSW festival you’ll be able to get started on hearing great live, local music right away. In addition to the 21 regularly-scheduled live music performances offered weekly in various spots in the terminal, Austin-Bergstrom International Airport has added some extra shows to welcome arriving fans on March 13 and 14 and send them off on March 20. Akina Adderley (Classic-Soul) – 1 p.m. to 3 p.m.
Jeff Plankenhorn (Blues/Soul/Rock/Roots) – 3:30 p.m. to 5:30 p.m.
Miss Lavelle White (Austin Queen of the Blues) – 1 p.m. to 3 p.m.
Barbara Nesbitt (Folk/Rock/Americana/Country) – 3:30 p.m. to 5:30 p.m.
Jackie Venson (Soulful Indie Blues) – 1 p.m. to 3 p.m. Cornerstone (Reggae/Soul/Jazz) – 3:30 p.m. to 5:30 p.m.
And here’s the link to the full music schedule at Austin-Bergstrom International Airport. The famed South by Southwest (SxSW) music festival is underway in Austin and for those flying into town the fun starts right at the airport. In addition to the 21 regularly scheduled live shows already on tap at Austin Bergstrom International Airport this week, there are a several sanctioned SxSW showcases featuring Austin performers. The official added shows are designed to welcome SxSW attendees to town and send them off in style – and all take place post-security. So don’t rush to baggage claim when you land. Suzanna Choffel (Indie Soul/Jazzy Pop) – 1 p.m.-3 p.m.
Charlie Belle (Alternapop) – 3:30 p.m.-5:30 p.m.
Jai Malano (Modern Blues Vocalist) – 1 p.m.-3 p.m.
Faye & The Fayettes (Smart Soul-Pop) – 3:30 p.m.-5:30 p.m.
Jackie Venson (Indie Blues Guitarist & Singer) – 12:30 p.m.-2:30 p.m.
Carson McHone (Alt-Country/Americana Songwriter) – 3 p.m.-5 p.m. The annual music, film and interactive conference known as South by Southwest – SXSW – is underway in Austin and it’s so cool that the festivities begin the moment you get off the plane at Austin-Bergstrom International Airport. During a ‘normal’ week, the airport offers 23 live music performances at six different venues in the airport. This week the shows include several special showcase events for SXSW. 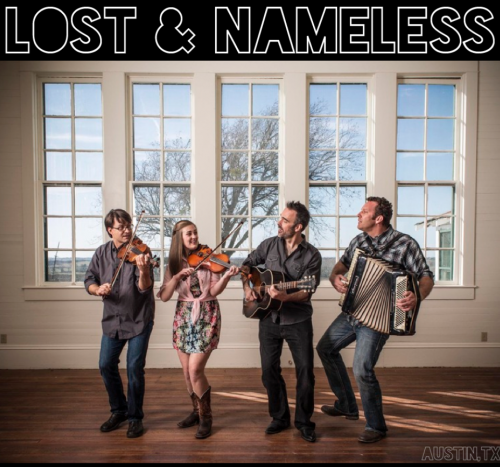 And the Lost & Nameless Orchestra, which plays “fiddle-driven folk rock, will entertain travelers from 3:30 to 5:30 pm. and Mingo Fishtrap (soul and funk) will be on duty from 3:30 to 5:30 p.m.
Want more music? Of course you do! Here’s a link to find out more about the live music schedule at AUS airport. Heading to Austin for the South by Southwest (SXSW 2013) music, film and technology conferences and festivals later this month? If you are flying into town, be sure to listen up when you’re at Austin-Bergstrom International Airport on your way in and out of town. The airport’s year-round Music in the Air program, now offers 23 live weekly music performances in six different venues inside the airport, with a special series of concerts lined up during the SXSW music conference, March 12-17. If you’re heading into town from the airport, you have several transportation options: there are taxis and rental cars, of course, including the all-Audi A4 Silvercar service, but the Airport Flyer bus runs into town every 40 minutes for a fare of just $2. And once in town, your options for getting around are quite varied. The festival will be running a complimentary bike sharing program for event registrants and will have shuttles running between many venues. There will also be some interesting free and shared car services operating during the festival, including the free “Catch a Chevy” service, SideCar (the ride-sharing program is determined to operate despite the city’s cease and desist order), and (according to this WSJ story) Tagged.com, a social networking site, will be offering free limo rides from the airport to destinations within 30 miles of downtown Austin. More details about Travel and Transport at SXSW. Going to the South by Southwest (SXSW) music festival? If you’re flying to Austin, make sure to listen up when you get to Austin-Bergstrom International Airport. As in past years, the SXSW music festival begins as soon as you walk off the plane with the first sanctioned SXSW performances of the music conference. During SXSW, the airport’s unique live music offerings expand from 15 regular shows a week to a total of 27 performances from March 12-19. Beyond the center stage at Ray Benson’s Roadside, The Saxon Pub, Lefty’s, Earl Campbell’s Sports Bar, and Austin City Limits/Waterloo Records & Video are all hosting extra shows for arriving and departing SXSW attendees. The 13thAnnual SXSW Airport Showcase kicks off on the stage at Ray Benson’s Roadhouse on Monday, March 12 with the band MilkDrive (alternative folk strings) from 1-3 p.m. Warren Hood follows with acoustic Americana from 3:30-5:30 p.m.
You can see the full line-up here. Monday, March 19 is the SXSW send-off, with Austin blues rocker Carolyn Wonderland performing at the airport from 1-3 p.m. followed by Nano Whitman (folk pop) from 3:30-5:30 p.m.